Facebook removed Bolt Lock App, an app made by its Israeli security subsidiary Onavo, from the Google Play app store, amid concerns that it unfairly collected user data. Both Onavo and Facebook came under fire in February because Onavo’s VPN service also sends mobile browsing and app usage data back to Facebook. Critics say that Facebook doesn’t do enough to disclose its ownership of Onavo, potentially fooling consumers who don’t realise where their data goes. 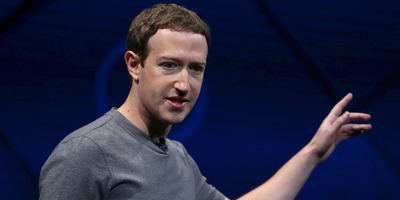 Facebook removed a new Android app from the Google Play store on Friday, after critics say that it unfairly collected app usage data from users and sent it back to the social network. Earlier in the day, Gizmodo itself had called the app ‘deceptive’, with some cybersecurity experts urging users not to install the app. The app in question is Bolt Lock App, a security app made by Facebook’s Onavo subsidiary, that billed itself as a way to protect third-party apps containing sensitive information. The app was discreetly released on the Google Play store Monday, and was first reported by TechCrunch on Friday. With Bolt Lock App, users can lock other apps on their phones, like a payments or budgeting app, by requiring a fingerprint or passcode to open them. But buried in the app’s description is a disclaimer – which can only been seen you tap the “read more” button – that says Bolt Lock App collects how and when users open those apps and sends that data to Facebook. Both Facebook and Onavo were criticised last month after it started telling users to download Onavo Protect, the company’s VPN service. Onavo Protect helps users protect the privacy of their web browsing, but it also collects data on which apps you use and when, and sends that information back to Facebook. Bolt Lock App contained a similar disclaimer in the fine print, before it was removed. The Wall Street Journal has reported that Facebook used Onavo’s VPN data to gain a competitive edge. For example, The Journal reported that Facebook used Onavo to see that Snapchat usage declined after Facebook introduced the competing Instagram Stories feature. It was also data from Onavo that reportedly inspired Facebook to launch a group video chat feature to its Messenger app – stymying a smaller app called Houseparty, which provided a very similar feature. According to app analytics company SensorTower, Bolt Lock App had under 5,000 downloads before removal. Neither Facebook nor its Onavo subsidiary responded to a request for comment at the time of publication.